While Bangkok is one of the most popular destinations in Asia, India enjoys the advantage of being a country with a wide range of attractions. The ongoing political strife in Bangkok, the capital of Thailand, and the Thai government's decision to impose a state of emergency in its capital in response to anti-government protests that have paralysed the city is turning out to be a boon for India vis-a-vis tourism. 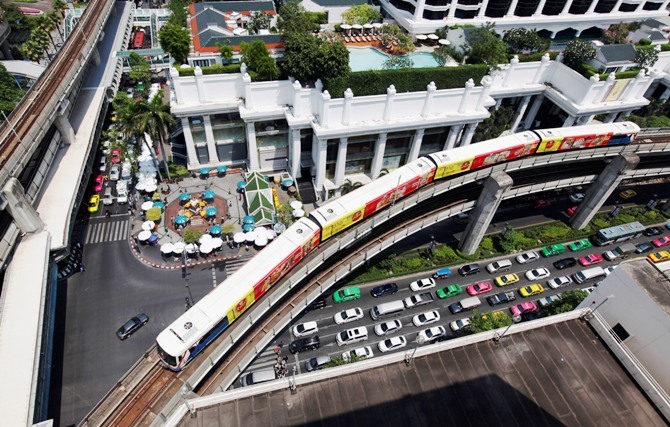 Image: A skytrain passes over vehicles on the road in Bangkok. Because of the escalation of violence in Bangkok since the last week, foreign tourists are shifting their plans to India. “We are receiving queries from foreign tourists, specially from Europe. “India being close to Bangkok, coupled with economic viability, is helping cornering foreign tourists who are changing their plans,” said Gour Kanjilal, executive director, Indian Association of Tour Operators, which has over 6,500 members across the country. Political volatility has been on the rise in Bangkok, specially in the past few days. 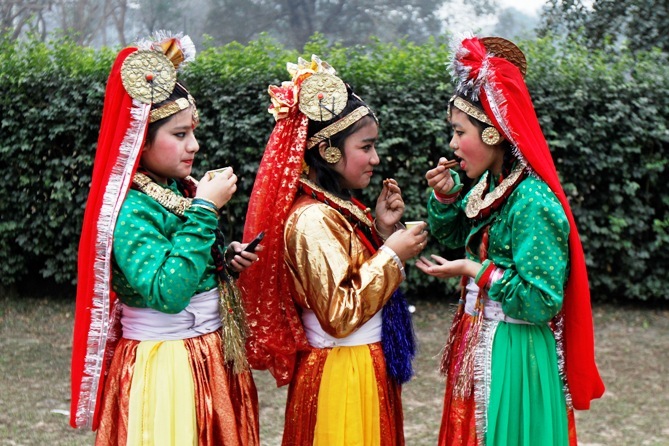 Image: Indian folk dancers drink tea before performing during the full dress rehearsal for the Republic Day parade in Kolkata. A couple of bomb blasts took place in the capital amidst wide protests. Protesters have been trying for more than two months to bring down the government. The Indian embassy in Thailand too is continuously tracking the situation and coming up with updates. “This is being seen as a new trend. Global traffic at times does go through such shifts when violence/political protest takes place in any popular tourist destination,” said one of the senior officials of a leading travel company. Other popular destinations like Singapore and Malaysia are also gaining due to the rising problems in Bangkok. “The Indian rupee has been very volatile in 2013 and even this year, it has been hovering in the range of 60-62 against the dollar, which has come as an advantage for India. “In fact, domestic tourism also got a boost as many Indians are also going for domestic tourism rather than opting for Bangkok,” said Kanjilal, adding that every year about 500,000 Indians visit Bangkok. 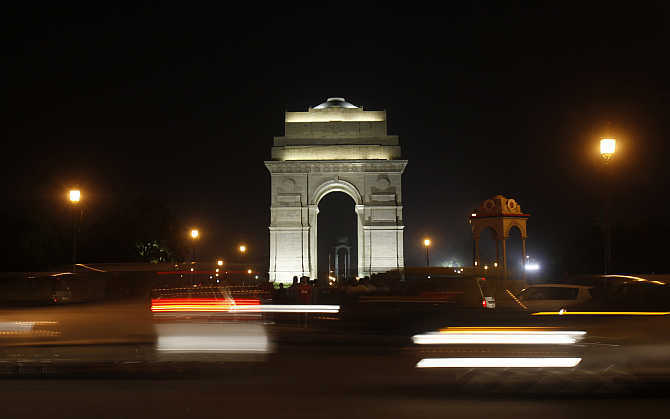 Image: A view of India Gate in New Delhi. However, according to Surinder Singh Sodhi of Thomas Cook (India), it is still early days to predict a shift. “We would certainly welcome and are equipped to accommodate tourists, should they look towards diverting to India, even if at thelast minute.” said Sodhi. 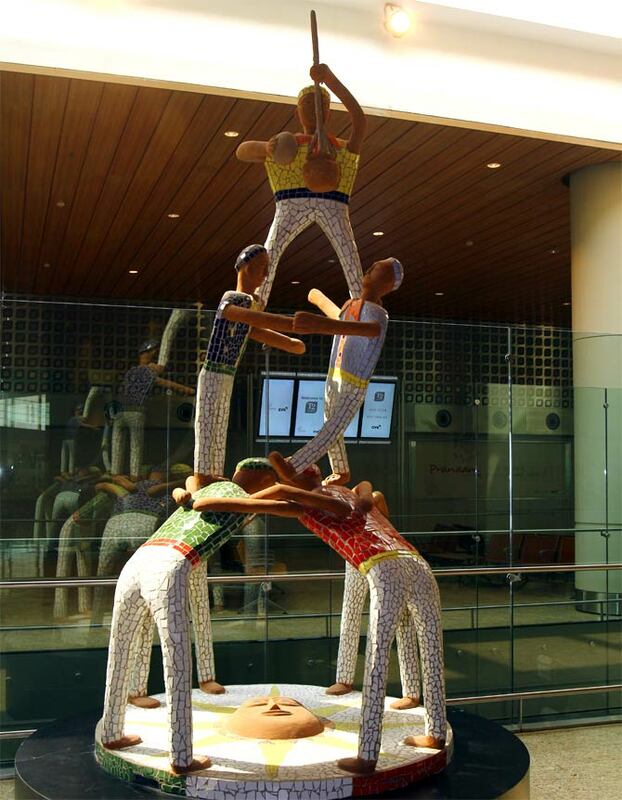 Every year, an estimated 6.7 million foreign tourists visit India. 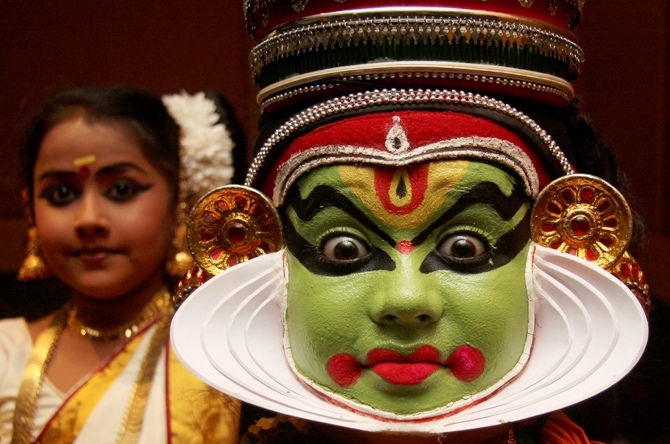 Image: A Kathakali dancer performs during a cultural programme in Chandigarh.